This practical and evidence-based workbook offers a series of assessment, implementation and evaluation activities for professionals working in critical care contexts. Designed to improve the quality of care delivery, it looks both at collaboration between professionals and between patients and/or family members. • offers advice on generating evidence for the effects of any interventions implemented. The activities presented in this book are based on extensive empirical research carried out in the US and Canada, ensuring this book takes into account the everyday work environment of professionals in critical care units. It is suitable for practitioners and educators, as well as patient safety leads and managers. 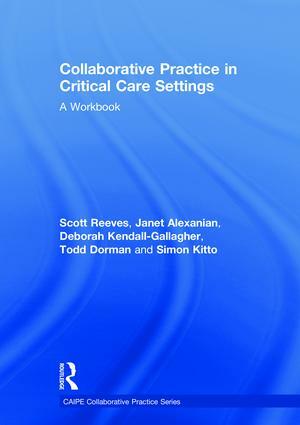 For more information on Collaborative Practice in Critical Care Settings.